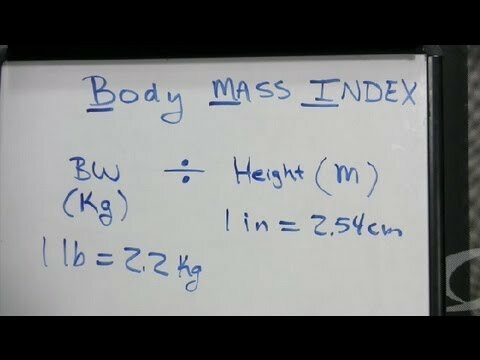 Body Mass Index (BMI) – Are You At A Healthy Weight? Multiply 180 by 703 to get 126,540. Next, divide this by 70 (70 inches is the same as 5′ 10″) to get 1807.7. Now, divide 1807.7 by 70 one more time. The result — 25.8– is your approximate BMI or body mass index. If you don’t have a calculator handy, you can get the same result using the free interactive BMI calculator, here. If the above example sounds like you, you might be surprised to learn that you’re ever so slightly heavier than your doctor might like. A BMI from 18.5 up to 25 is considered healthy, from 25 up to 30 is classified as overweight, and 30 or higher is obese. You should know that there are great benefits to losing even a moderate amount of weight.